Perhaps it’s because they remind us of spring or simply because they bring a bit of nature indoors when we’d much rather be sipping cocoa by the fireplace than outside, but for whatever reason, flowers have always been a big part of Christmas décor. A lavish bouquet is the perfect centrepiece for your holiday dinner and is a welcome thank-you gift for the hostess, but you can do so much more than that. Trees are already a natural element, so adding flowers to yours can produce gorgeous results. Many decorators are simply interspersing blooms wherever they seem to fit, but you can add them in a pattern that wraps around the tree too. Opt for fresh blooms and add them to your tree just prior to your holiday party or obtain individual water vials to help them last a few days. Conversely, you can dry them so they last all season. For more information on the latter, check out our tutorial on how to preserve your bouquet. Don’t forget to do up your garlands and a wreath to match, so the freshness can be spread throughout the house. There are a lot of fun crafts you can do with flowers. The carnation snowman is an enjoyable and simple one to do and all you’ll need are a few foam spheres, a couple dozen white carnations, any embellishments you wish to add, and a hot glue gun to attach them. 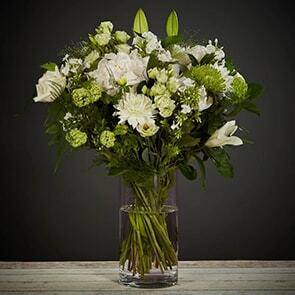 If you go for fresh blooms on this one, you can soak the foam with water in advance so the carnations can drink some. Frosty will melt hearts, whether you keep him for yourself or give him away as a gift. For a beautiful rustic look, wrap your gifts in brown paper and string. Just before you deliver the presents, tuck a few blooms under the strap. 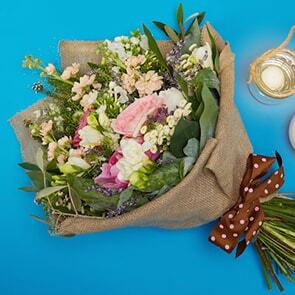 It’s easy to make any bouquet a beautiful holiday centrepiece by adding a few extra touches. Wrap candy canes or cinnamon sticks around the outside of a vase. Use small votive holders for individual flowers and candles across the centre of the table. Stack two vases together and layer the outer one with ornaments. 1. Carry your theme through the main areas of your home. 2. Focus on areas that get the most traffic, like the entry, tree, and table. 3. Experiment with colour. Nothing says you have to use traditional holiday hues. 4. 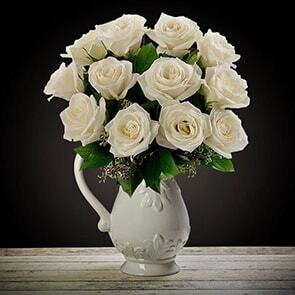 Choose fresh blooms from a quality florist, so they last longer. 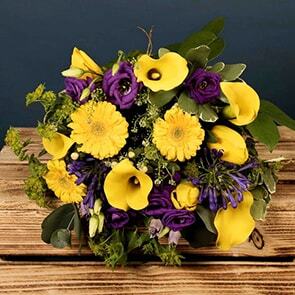 At Bloom Magic, we use only high-quality fresh-cut blooms in our hand-tied bouquets. 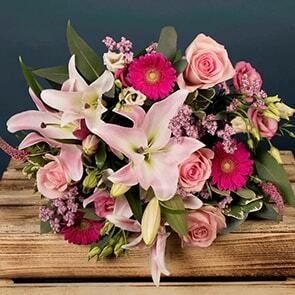 We also offer free same-day delivery in Dublin and next-day delivery all over Ireland, so it’s easy to ensure your order arrives right when you need it to, whether you’re sending them as a gift or using them to dress up your home for the holidays. For more information on the blooms we offer, view our Christmas flowers now.